Mention the term women’s fitness and you are bound to picture a slim woman working out to get flat abs, shapely thighs and svelte arms. Yet when it comes to achieving a fit body, many of us believe in weird myths that stop us from achieving the goal of fitness. So, we begin to starve ourselves and do not opt for the right workouts because so and so said something about it. Don’t you think it’s time to follow some expert advice instead and work towards getting a body that not only looks healthy but feels healthy too? Ditch The Fear And Train Like Celebs Do! 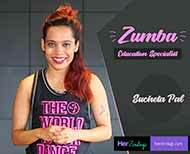 Celebrity fitness trainer Yasmin Karachiwala exclusively talked to Her Zindagi and busted the myths surrounding fitness. 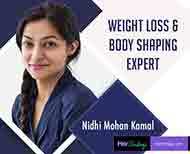 Starting from thinking that more hours spent in the gym can help with more weightloss to thinking that resistance training can make women bulkier, Yasmin broke apart every piece of false info while giving the ultimate advice on staying fit and healthy. Having trained the likes of Deepika Padukone, Alia Bhatt and more, there is no scope of error for Pilates expert Yasmin. To take the right path towards women’s fitness, it is essential to understand the female body correctly. 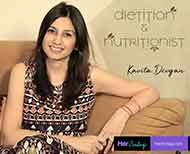 A healthy diet complimented with the right amount of exercise can work wonders for women who are looking forward to lose weight and say bye bye to fatigue. With this, you can not only feel fresh all day but you muscles can be strengthened to a point where you can avoid hurting your body. Rather than accuse people of misguiding us, we need to take a proactive approach towards fitness and follow the right advice to build up our fitness step by step. Because the path to achieving the right fitness isn’t easy but it should be clear enough to avoid hurting your body or staying unhealthy.